Suhas, could you make the link clickable? It's quite difficult copying pasting through mobile? Or may be they could just make it such that the link is clickable when it is on source? 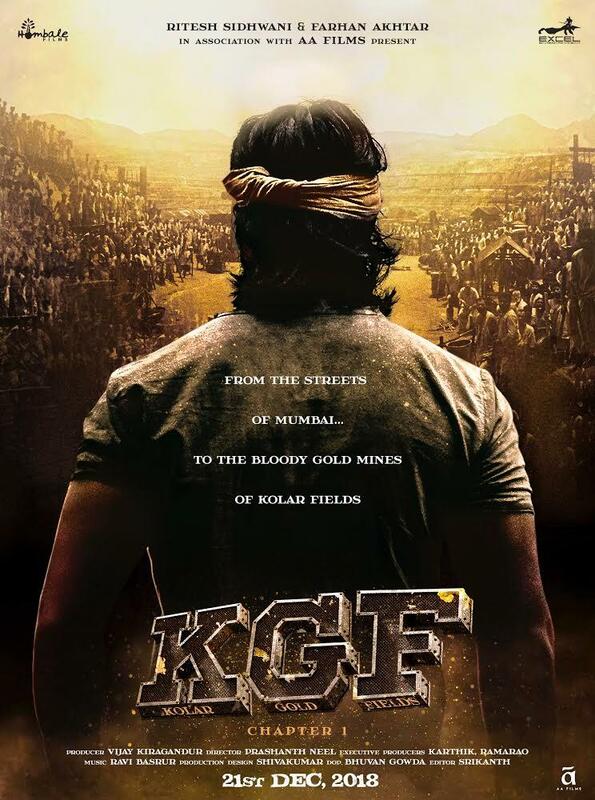 Where does SRK come on KGF? Its like SRK vs Hindi Cinema except Khans everyone trying to bring down Srk, Srk must kick this friendship stuff out of the window now, he should focus on good movies thats all , there is always a great consipiracy against Khans dominance in the industry and media, but they have ruled for decades and will rule until they themselve retire, hopefully TOH and Zero are huge hits. More than Half of Bollywood trying non Stop to bring SRK down...true. There's no threat to SRK except himself and his choices. LOL whom he destroyed then why he's requesting one after another to postpone their if he's so big. Destroyed Salman and Aamir ruling Bollywood but destroyer SRK struggling for a hit since 4 years. I respect SRK for his unimaginable achievements even after being a outsider but it's fan like you who forced me to troll him. Roman, you don't understand my problem with SRK, a good movie would be a hit in worst case only because of his core fans. He was not doing anything right except earning money. I just want the SRK back with Zero. No bro that wasn't for you, it was for @JordanGarcia who thinks SRK destroyed every one. I firmly respect his achievements he's one of the biggest superstar of our country with a good movie he will easily deliver a hit. Till now zero is looking like that comeback movie for SRK, will be happy if he backs with a bang. I still don't know who this actor is and how many hits he gave but he is never a threat to even Varun, they get screens automatically. It's not something to go into personal affairs of anyone or business affairs. KGF isn't Simmba which still has no trailers, they could postpone in good terms. So people, these cheap publicity didn't affect any subtle dead hair of SRK if his product is good.